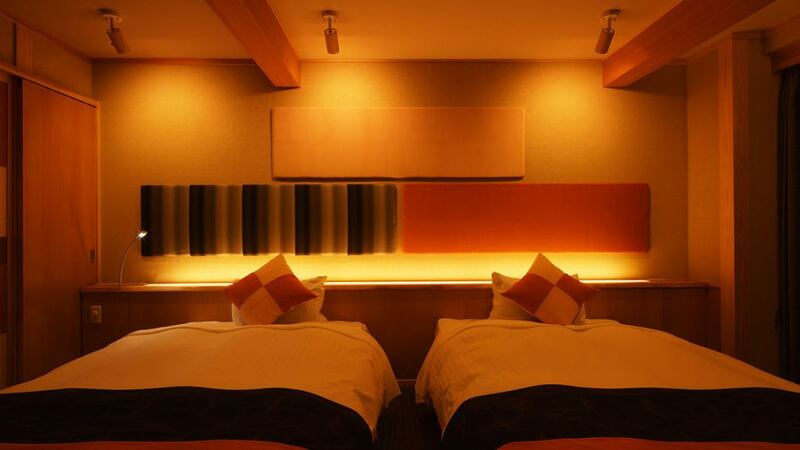 Futaba are 78 rooms in Futaba in all. Please relax in the style of your thought, according to the purpose of the trip. 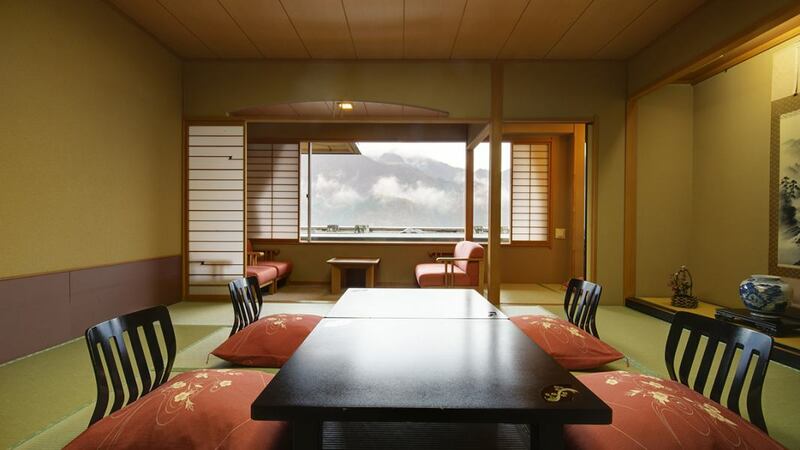 It is a new type of room with the theme of the local Uonuma woven theme, different from the traditional "Hanamizuki" and "guest room with outdoor bath", changing the 3rd / 4th floor rooms to the western type. Futaba are 29 rooms with Futaba's outdoor bath in all.Enjoy relaxing and relaxing with family, friends, couples, various uses, please enjoy. Designed for barrier-free design that emphasizes ease of use and safety. You can use it with peace of mind for those with physical disabilities. 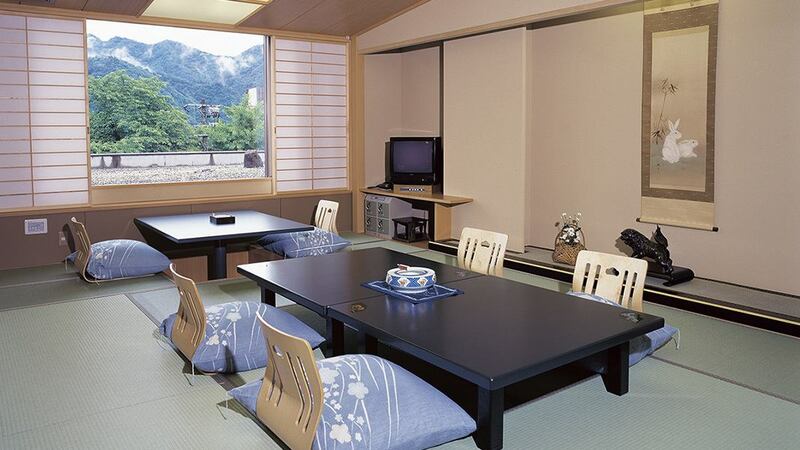 We prepared a room based on the Japanese so that you can relax.From the room you can also see the mountains of Echigo and there is plenty of opening sensation.Please enjoy the Echigo-Yuzawa Hot Springs leisurely. The three different mansions, which are different for each floor, are all designed for barrier-free and 150 m² wide.Please relax in the spacious room. 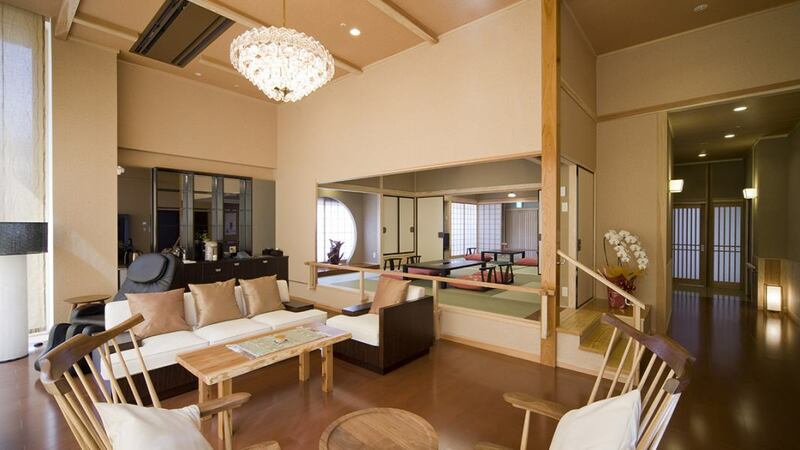 Located on the top floor of Futaba's room, the layout is Japanese style room 18 sq m + plus living room (about 27 sq m) + twin bed room + inside bath + outdoor bath. 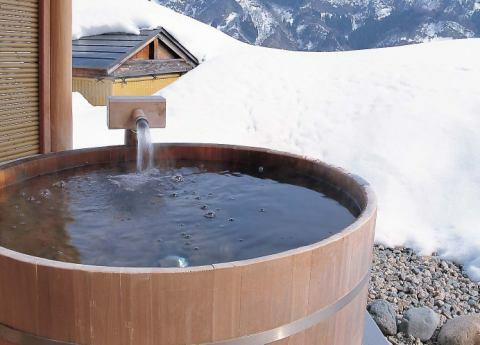 You can spend a special holiday in the room where you can see mountains and Echigo-Yuzawa townscape from the garden · open-air bath. The living room is equipped with a massage chair and 45-inch LCD TV and can accommodate up to 7 people. 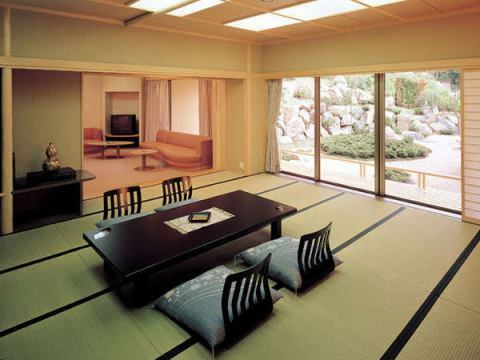 The layout is Japanese style 27 square meters and living room + twin bed room + hinoko bath.Enjoy a relaxing and private space while watching the garden. 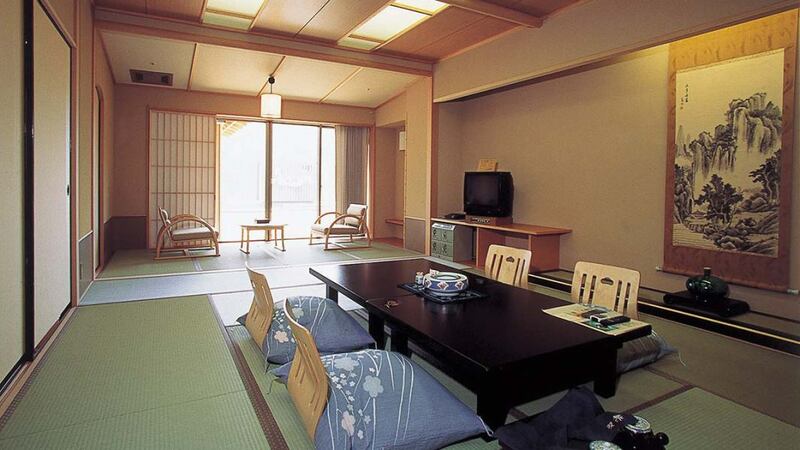 It is possible to accommodate up to ten people in a spacious room.